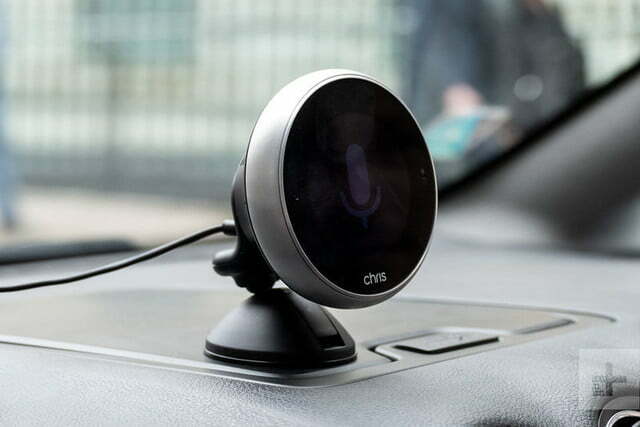 Chris is a voice command and gesture away from being the in-car nanny phone-addicted drivers need. 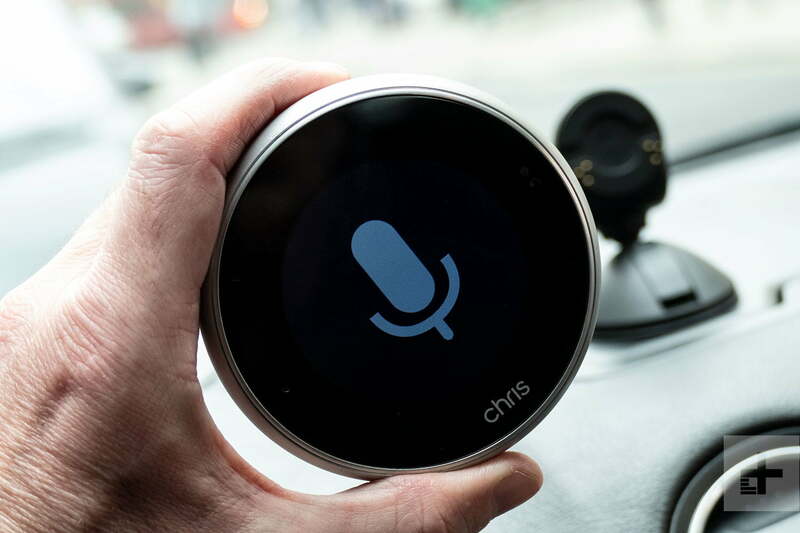 We sat in a car with Holger and Chris, navigating around some of London’s busiest streets for an hour, to see if Chris is Alexa for your car. Using Alexa-for-the-car as shorthand for what Chris is about works, basically, but it’s not strictly accurate. 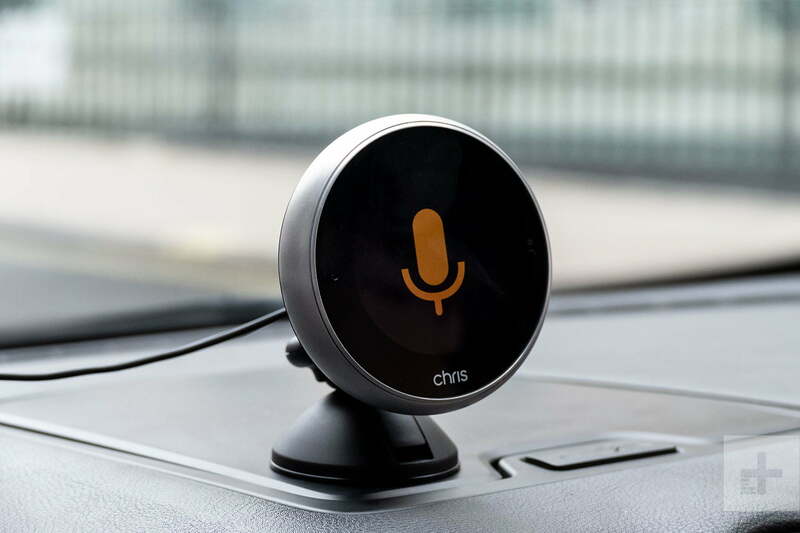 While Alexa has to deal with many different tasks, from ordering products to turning on the living room lights, Chris’s mission is to keep you from fiddling with your phone in the car. There’s no need to go into detail about why using your phone while driving is a bad idea. It’s illegal in many countries, and stupid and dangerous in them all. Chris takes the things we often want to do on our phones while driving, takes them off the device, and puts them in a convenient dashboard-or-windscreen mounted unit that’s controlled only by voice of gesture. It doesn’t have a touchscreen, so no amount of prodding will be met with a response. Chris handles navigation, calls, messages, and music playback with varying levels of success. Chris connects by Bluetooth to your phone, and this is essential as it does not have a data connection of its own. 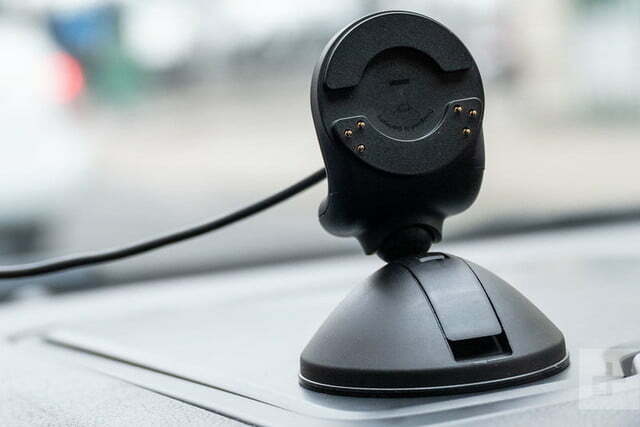 The unit has five microphones — four at the back which use the windshield to amplify audio, and one at the front — a speaker, and a 2.1-inch LCD screen. The screen shows big, obvious icons to accompany commands, and reacts to your voice or three basic gestures — a swipe, a high-five, or a push/pull. You may be thinking that your in-car entertainment system already takes care of all this. 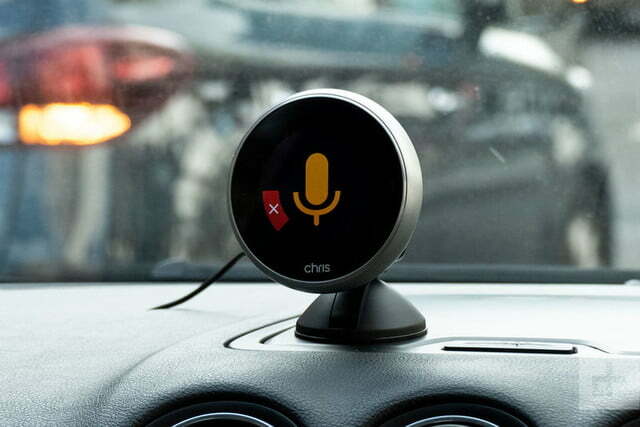 Android Auto and Apple CarPlay are competent, still-growing systems, and many cars already have, or will have in the near future, extensive voice control. BMW showed its own voice and gesture system off at MWC 2019, for example. Chris is not competing with these systems, it’s for people with older cars that don’t have such high-tech features. Chris’s mission is to keep you from fiddling with your phone in the car. It’s simple to fit into any car, requiring only a dashboard or windshield mounting point and a 12-volt socket in the vehicle. That’s it. If you can currently charge your phone using an in-car charger, you can add Chris. The unit is small enough not to cause an obstruction, and simply designed so that it won’t look out of place. It even has a small battery inside for around three hours’ worth of use without separate power. The screen is quite bright, and should be visible in direct sunlight provided it’s angled towards you; but the sun shining through the windshield in the Ford Galaxy in which we tested Chris did cause confusion when trying to use gestures. The sensor had difficulty seeing, so voice was used instead. 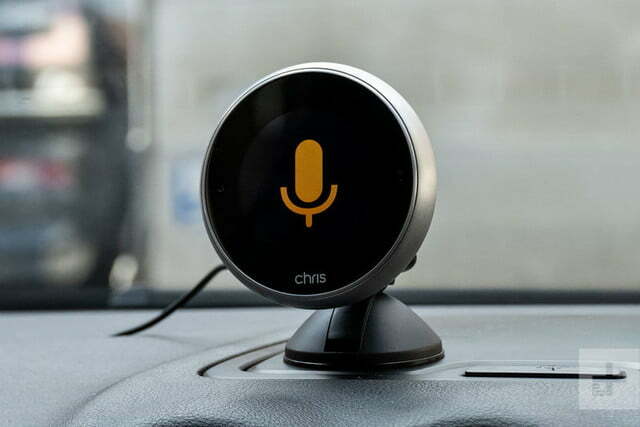 The voice recognition is part Chris’ own system, and part provided by voice experts Nuance. It responds to a “hey Chris” wake word, and doesn’t listen if you simply say Chris, or even hi Chris, helping drivers with mates called Chris handle a potentially frustrating situation. In our brief time with Chris it responded reasonably well, although it had trouble understanding some of the more complex location names for navigation. When dictating a text message, though, it was accurate every time. Speaking back to you, Chris is very clear, and we had no problem understanding what it was saying. The volume is adjusted using the push/pull gesture, and it was loud enough to be easily heard inside the quiet vehicle. It does rely on some connectivity though, and there was some voice distortion which seemed to be caused by network interruption. The phone connected to Chris in our test was roaming at the time, which would likely explain the problem. Currently, Chris connects to an Android app, and an iOS app should arrive in the near future. Navigation is where Chris needs to excel, as it’s one of the top reasons we use our phone in the car. 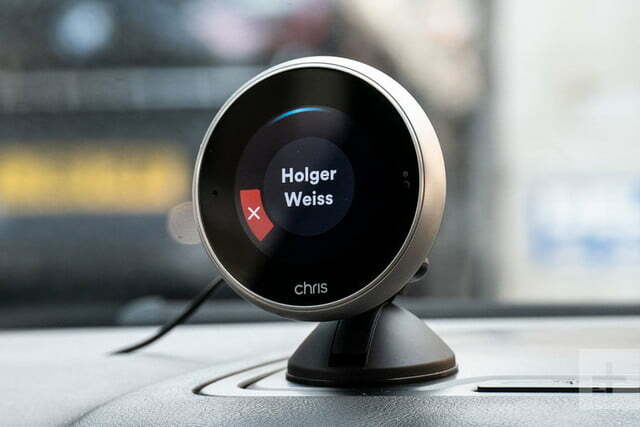 The Chris unit doesn’t have its own GPS antenna and instead relies on the one inside your phone, a decision made due to costs, according to Weiss. It doesn’t use your standard maps app either, and has Here maps installed, which it uses to get you around through visual and audio instructions. The audio works well, but the on-screen instructions aren’t as complex and informative as Google or Apple Maps. 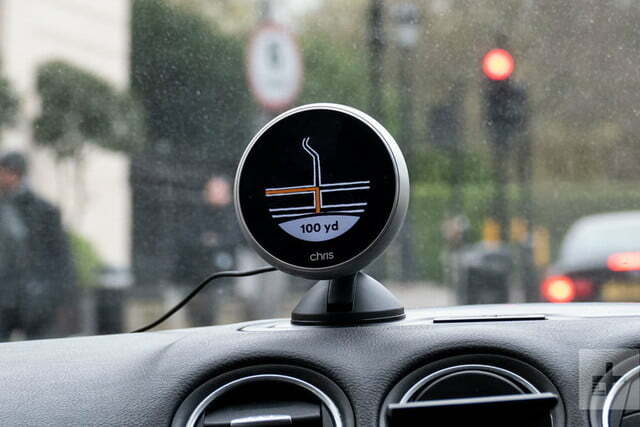 They show the route on a black background, and will swap to large directional markers when you need to turn, but there’s no street names or detail shown, and no speed limits or place names, either. It’s bare-bones. 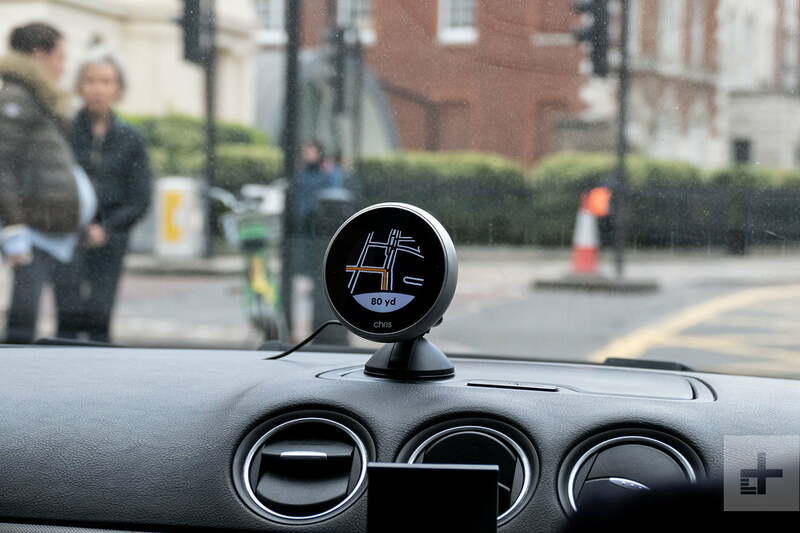 It helped our driver get back to his starting point through London’s streets, showing its effectiveness, but we have not tested it out in other environments. It’s for people with older cars that don’t have such high-tech features. Messages and calls can be activated using voice, and are routed through to Chris’ speaker from your phone. It links up with SMS and WhatsApp messages at the moment, and it worked really well for both. A message was dictated and sent without issue, on both systems, and replies are read back to you. You can ask Chris to read new messages, but not recall old messages from a single person. It’s not clever enough yet. Provided you aren’t endlessly sending messages when driving, or conducting in-depth conversations, Chris will be helpful. However, if you lose concentration at any point, it may not be possible to read back a message, or recall conversations. For occasional use, for example letting someone know you’re going to be late, it will be fine. In all these situations, regardless, it will also be much safer than using your phone. Chris can play music stored on your phone, but only through the speaker in the unit itself. 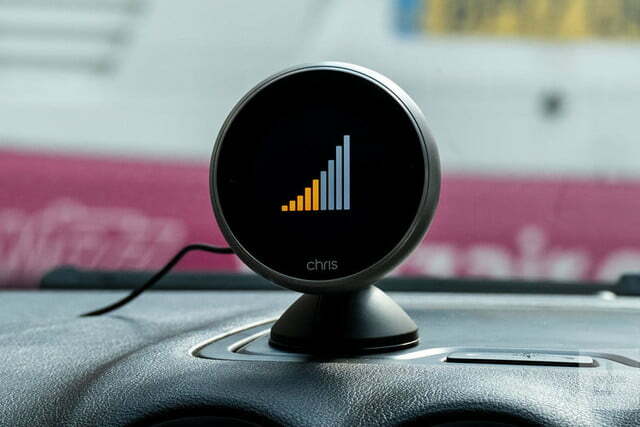 There are plans to try and integrate Chris with a Bluetooth system in a car — in an aftermarket head unit, for example — but for now it can’t, and that’s a shame. You wouldn’t want to listen to much music using Chris’ speaker, as it lacks bass and overall volume, but it will probably be acceptable for spoken word. The side swipes are used to change tracks, and the high-five to pause and play tracks. It’s simple and intuitive; the reliability was relatively low during our drive, howver. Does Chris make your car smarter? Yes, it does. The real question should be whether you will want to use Chris in the car at all. In our brief time with Chris, its hit rate of recognizing voice and gestures was not high enough, and that’s a problem. If Chris is annoying, doesn’t understand where we want to go, or tries to call our mother instead of someone called Mark, we’re not going to use it. The issue of people dangerously using phones when driving is very real, and it’s often because the interface is familiar and does everything we want quickly, so any replacement solution needs to be excellent if it’s to stop it people from reaching for their phone. The issue of people dangerously using phones when driving is very real. Then there is the motivation to use such a device. 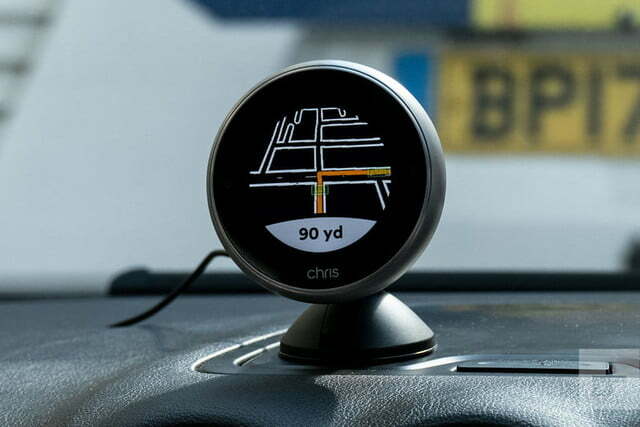 Chris is easy to place in the car, doesn’t take up much space, and won’t deplete the phone’s battery in the same way using it as a navigation device does. But the phone is always with us, and to get Chris in the car you’re going to have to spend 300 British pounds, or about $400. There’s no subscription fee to use it, and the company promises continued software updates with new features, but that’s still a lot of money to spend. It also faces a surprising amount of competition. Companies like Kenwood and Pioneer both make DIN and Double DIN-sized head units for cars that include Android Auto or Apple CarPlay, and these cost from around $500. 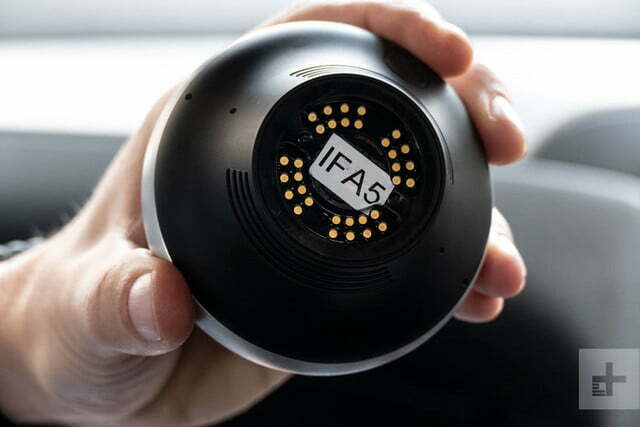 They come with not only plenty of features, but link with your car’s speakers, too. While using your phone is dangerous and/or illegal, using the entertainment system in your car is not. Using Chris is unlikely to be problematic, as you’re not required to touch anything. However, the catch-all law of not being in proper control of a vehicle — which applies to everything from eating to putting on make-up while driving — could be used if you’re gesturing at Chris and weaving all over the road while doing it. 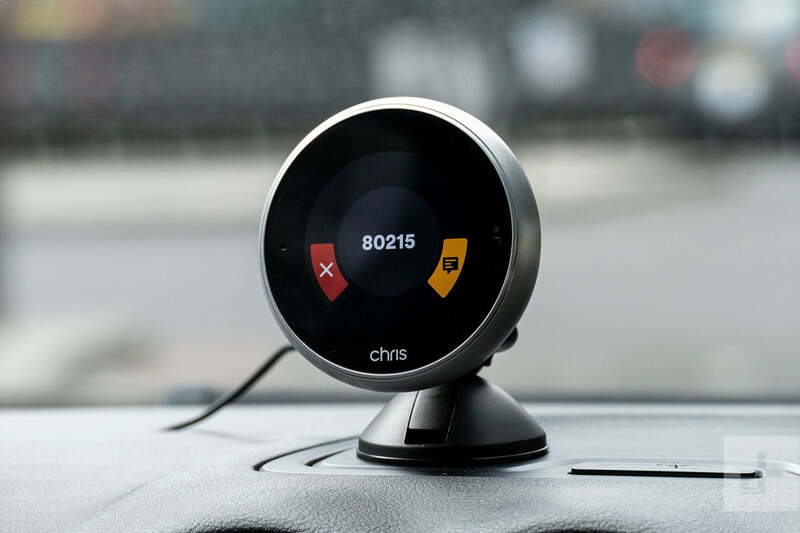 It’s only through a longer test where we are behind the wheel with Chris in the car that we’ll understand how useful it is, but the company’s dedication to stopping us using our phones when driving is to be applauded, and something all of us should heed. A high percentage of cars on the road do not have phone integration as they’re too old, and Chris is the solution. Chris is available to buy officially in the U.K. and Germany at the moment, and Weiss informed us the plan is to have the unit on sale in the U.S. this year. 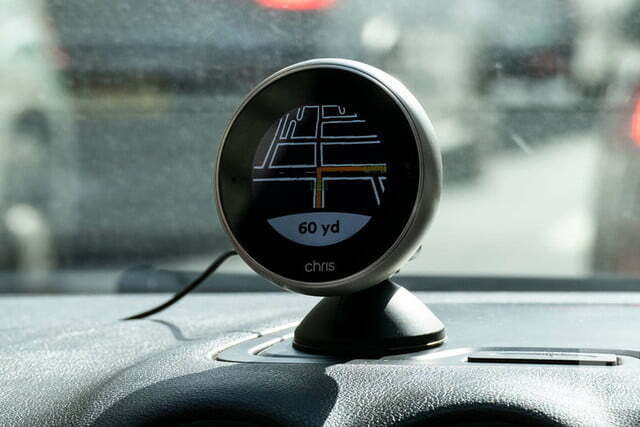 It has already shipped some Chris units to the U.S., following completion of its Kickstarter campaign. In our time with Chris it was clear it’s still early days for the unit and technology, and we understood it’s still undergoing work. The basis of a strong, useful, and safety-enhancing product is there, and provided it’s supported and developed quickly, Chris has considerable potential.